For at least a few weeks there I was putting up lists of things I found useful and/or interesting from around the Internets. I would like to get back to doing that. So, in that spirit, here I am with a new list of, you guessed it, useful and interesting things. Of course, these may only be useful and/or interesting to me. Fortunately, I pay the bills around here, so you’ll just have to take your chances. • Too much paper clutter in your home or office? Geek Day has the solution. • Microsoft Office has finally come to the iPad. Who cares, you say? Well, I tend to agree, but what do I know? • Facebook paid a cool $2 Billion for the Oculus Rift VR goggles and the companuy that created them? But what about the Kickstarter backers who helped make the product a reality in the first place? • A tale of two pencils. Will the “real” Blackwing 602 please stand up? • Speaking of pencils. What’s the big deal about vintage ones anyway? • The new HTC One (M8) looks cool but I don’t think it will replace my iPhone 5s. • Check out Stanley Kubrick’s annotated copy of Stephen King’s The Shining. Cool. • As I’m a man and an Altoids fan, here’s 22 Manly Ways to Reuse an Altoids Tin. • Can the right tools help you write better? I don’t know, I’m just trying to write good … I mean well. Crap. 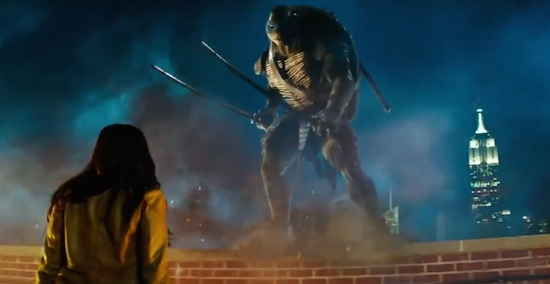 Finally, here’s the trailer for Michael Bay’s Teenage Mutant Ninja Turtles. I am not a devout devotee of the original TMNT, so this new version really doesn’t offend me on that level as it seems to have done to others. I’m just not sure it looks like a very good movie. Oh well. And heck, while we’re on the subject of movies, here’s the trailer for the next movie from The Wachowskis called Jupiter Ascending. See, her name is Jupiter and she’s, well, ascending … or something. I see what you did there Andy and Lana. This entry was posted in Internet, Links and tagged Altoids, Apple, Blackwing 602, Channing Tatum, Geek Dad, HTC, iPad, Jupiter Ascending, Megan Fox, Michael Bay, Microsoft Office, Milla Kunis, Movies, Oculus Rift, Pencils, Stanley Kubrick, Stephen King, Teenage Mutant Ninja Turtles, The Shining, Tools, Writing. Bookmark the permalink.